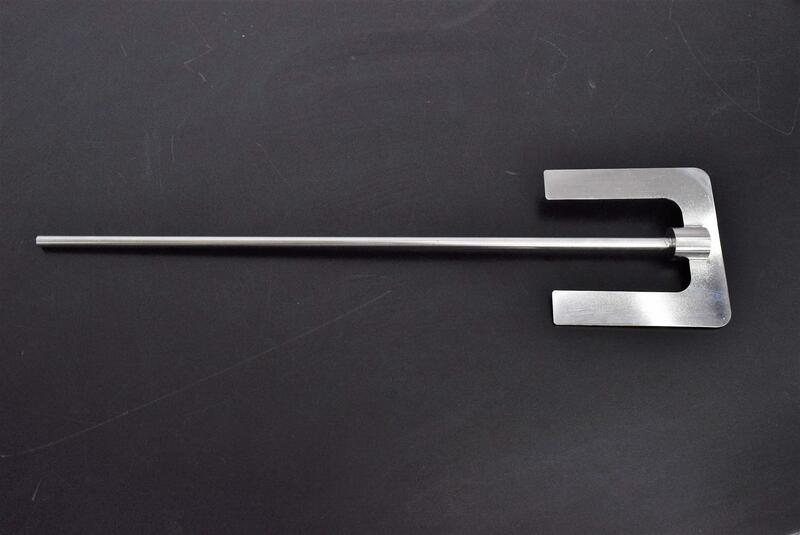 Laboratory Anchor Paddle for Homogenizer Stirrers Stainless Steel 20.5"L x 5"W . New Life Scientific, Inc. The shaft with the paddle is 20.5 inches in length x 5-inch width paddle. The diameter of the shaft is 0.8mm (approx 3/8”).